Imagine nibbling on a fresh Margherita pizza and sipping on a bottle of fine hard cider while the catchy notes of live music dance through your ears–all within the space of endless and vast green. Not only is it PERFECT for Bachelorettes, friends, and couples, it’s as if you were in a countryside painting that had come to life. 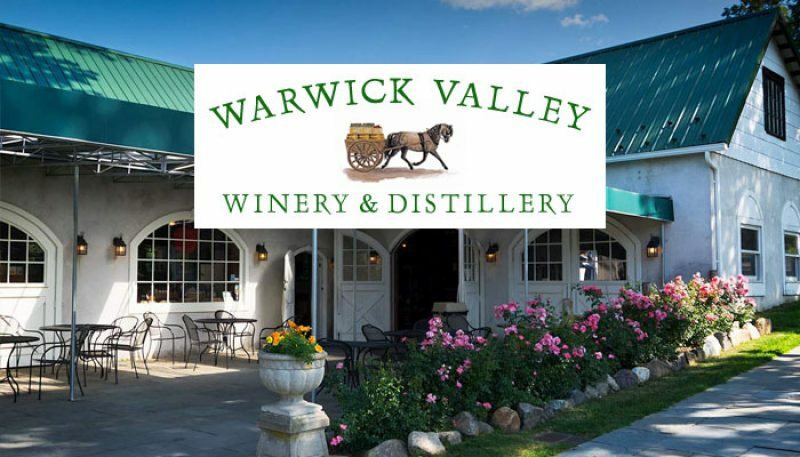 The Warwick Winery & Distillery is one of our most popular destinations for groups of 10 to 35 passengers –and for good reason! Located in the verdant foothills of the Hudson Valley, this establishment is the ultimate location for down-to-earth, yet sophisticated wining and dining. The rolling hills and lush scenery provide an amazing backdrop for the services and products offered here. 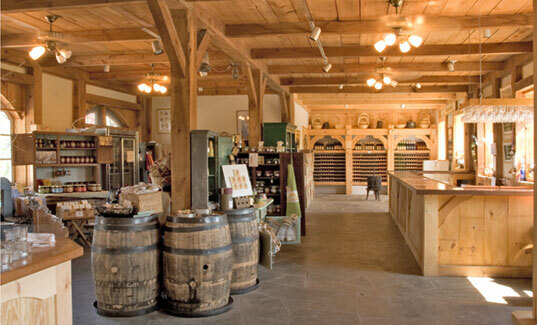 One of the most popular features of the Warwick is the Tasting Room: renovated from an apple packing house and overlooking the goose pond and orchards, the Tasting Room provides incredible atmosphere while offering a fine selection of wines, ciders, brandies, and liqueurs. 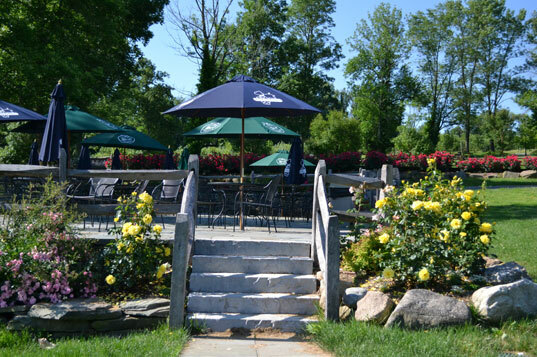 We should probably mention the beverages–the Warwick is a winery and distillery after all! The Warwick offers many of its own hand-crafted alcoholic beverages including it’s own line of gin, cider, and wines. 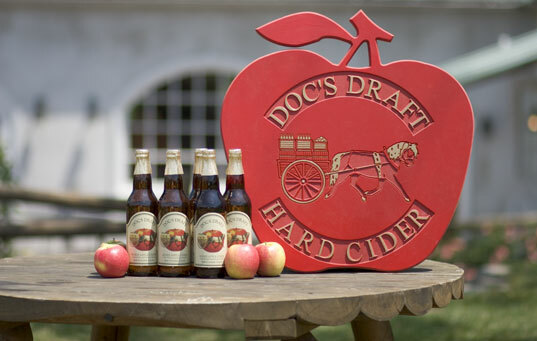 Doc’s Draft Hard Cider, their house brand, is particularly famous and is a popular item at the Warwick. The Warwick also offers beverages from other local distilleries such as the Black Dirt Distillery. Bartlett pear liqueur, sour cherry cordial, or bourbon barrel aged apple liquor? You’ll be able to take your pick at the Warwick. 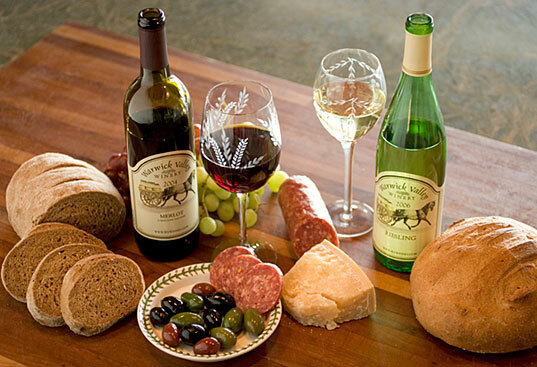 But just because they’re a winery and distillery doesn’t mean that they skimp on the food. On the contrary, the Warwick has its own eating establishments: the Pane Cafe and the Black Dirt Grill. Like their fine wines and liquors, their food is expertly crafted and isn’t short on flavor or quality. We’ll try the Lemon Herb Chicken Sandwich, please. We haven’t even got to the apple picking, the live music, and other offerings, but we’ll let you find that out on your own–just let Ambassador Limousines get you there. The Warwick is a perfect place to get together with a group of friends, so if you’re looking to get out in the countryside and enjoy some fine beverages, then rent one of our limos or party buses. Don’t worry about parking, carpooling or any of that other hassle–we’ll have you covered. Best of all, you can imbibe and enjoy yourself at the Warwick and not have to worry about the drive home. The trip to and from the winery is full of lush scenery and is an experience in itself!